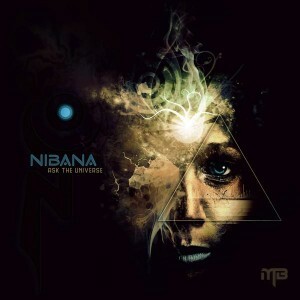 Maia Brasil Records is proud to present Ask The Universe, the first chill out album written and produced by the upcoming French artist Nibana. Welcome to his universe: a unique downtempo, dance, and deep trance style uniting multiples influences into one cohesive whole. Mastered by CZL Mastering. Artwork by Point Zero Productions. MP3 Download | FLAC Download | WAV Download · Download count: 20,315. Pure genius. Such a refined work of art – subtle and striking at the same time. I am truly impressed. I can’t wait to hear more from this artist! Absolutely wicked! One of the best deep trance releases on the site! Excellent!!! Very original and nicely produce! Oh, this is good. I like downtempo when I work but not too laid back—this find the right magic. Love the guitar wails on Uchuu. Yeah ! allways feels good to see Nibana release on Ektoplazm !!! que buenos repiques, ¡me gustó mucho! ¡felicidades! nice release from the artist . not all tracks i found gud . i had downlooaded the full album but kept only 2 songs ” track no . 4 & 6 ” and deleted the others . looking for some new stuff from the artist . Kaminanda & UCHU are the best downtempo acts i have ever heard till date . Thanks for your support everyone, It confort me to keep it up ! great work! thanks for sharing!!!! muse for soul. Great stuff ! unusual ! good album and nice rambo II theme reference on the last track :) ?! I didn’t thought about thie Rambo II theme but nice match Dirk ahahah, they seems close for sure. What is the anime used in the first track? Wow. I got this when it was first released, and it has quickly become a favourite. Could listen this this one everyday and not get bored of it. Magical sounds, well done. chillout malmsteen tribute! that is a surprise! thanks! Fantastic! Strangely soothing and revitalizing at the same time. The best I’ve downloaded from this site. Nibana this is the first time commenting on the site, and I have to say BRILLIANT! It’s amazing what one excellent producer can do after listening to Jim Carrey’s speech! I knew this one for a while, just rediscoverd it throught a 2h live and… damn its good and beautifull produce, full support to the artist looking forward his futur releease !! We reached the 10.000 download in 3 months ! Thanks so much everyone for your support and your kind words ! This is just the beginning ! c’est du lourd, bien Epic ! This a fantastic work, amazing music, great mixing and perfect mastering. It is a real treat on a hi-end hifi. Well done!!!! Feel free to check it ! Un tempo lent pour une puissance inégalée. Des mélodies épiques qui te font putain de partir ! Mec du lourd ! This album took me by surprise. Absolutely amazing. Who is the speaker? Is this lecture available online? When The Perfection is talking this is the sound that u listen from It…..U can feel it much more than listen as a music sounds. This is an awesome release. Pulsing, quirky, melodic, lots of beat. I could ask for no more, except more of the same from Nibana :). Mastering is excellent, and it sounds great on my tablet, PC, but especially through my hi-fi. Thanks to Ektoplazm, big up to Nibana, and masterer, well done all! where are the voice tracks of song #7 and #8 from?